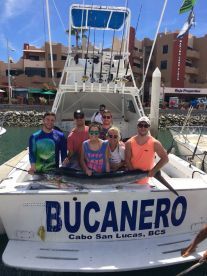 Dolphin (Mahi Mahi) fishing in Cabo San Lucas varies moderately throughout the year. High season is July to November. Low season is March. There is no closed season. 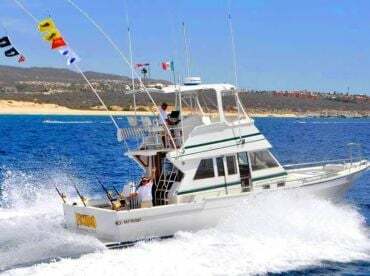 This was our first fishing charter out of Cabo San Lucas. This was a great experience. The captain and his mate were totally helpful and knowledgeable. The full day fishing means just that--8 hours of fishing. 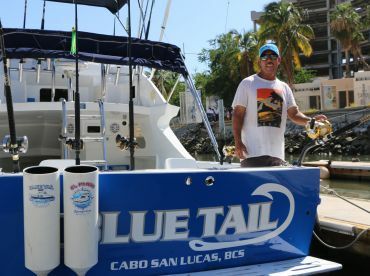 We caught 5 Yellow fin Tuna, 4 Dolphin fish, and had a good fight with a large Mako Shark. 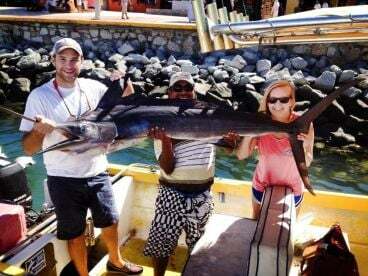 No Marlin--but not for lack of trying by the crew. We will definitely be back next summer. We had an amazing time catching our air fish for the first 1.5 hours but we only caught 3 small fish after that. Not the fault of the crew or boat, guess the fish just weren't biting that day. The crew did all they could do to find fish for us, they were great. While we were fishing we saw a huge dolphin pod, several whales and a few sea lions. It was a fun day for sure! 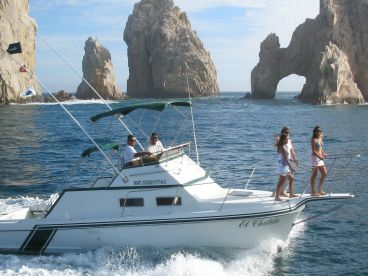 "A day on Viviana IV"
We had a wonderful time with Pepe and "skinny" they not only helped us with our deep fishing but they entertained us with sea lion and allowed us to take pictures of the arch. They were quick to show us the dolphin and the shark outside our boat. Very nice and helpful in every way! !